Definition at line 81 of file llassetuploadresponders.h. 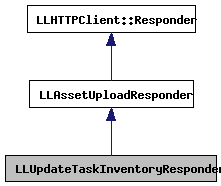 Definition at line 417 of file llassetuploadresponders.cpp. 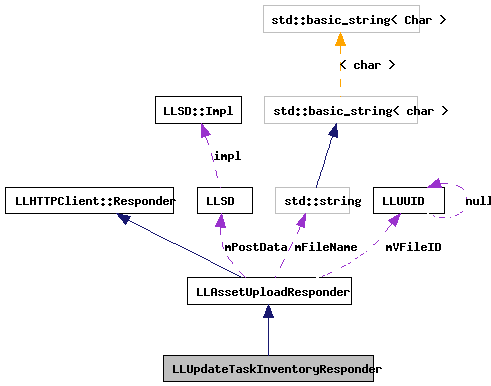 Definition at line 424 of file llassetuploadresponders.cpp. Definition at line 431 of file llassetuploadresponders.cpp. References LLSD::asUUID(), LLAssetType::AT_NOTECARD, LLLiveLSLEditor::callbackLSLCompileFailed(), LLLiveLSLEditor::callbackLSLCompileSucceeded(), dialog_refresh_all(), LLLiveLSLEditor::find(), LLPreview::find(), LLViewerObjectList::findObject(), LLViewerObject::getInventoryObject(), gObjectList, gVFS, LLInventoryType::IT_LSL, LLInventoryType::IT_NOTECARD, LLInventoryType::IT_WEARABLE, llendl, llinfos, llwarns, LLAssetUploadResponder::mPostData, LLVFS::removeFile(), and LLViewerObject::updateViewerInventoryAsset().